I felt as if an era has ended as the screen slowly faded to black during the final scene of the Harry Potter movie. Which is quite sad, if you ask me, because I have always been a fan of Harry Potter. Not just in movies but also the book series as well. I don't remember much about how I started reading Harry Potter, but I do remember that I was around 15 or 16 years old that time and the book was loaned to me by a very very good friend of mine, Daniel Chen (in fact, it was thanks to him that I had the chance to read all seven Harry Potter books because all the Harry Potter books I read belonged to him). And after the first book, I was hooked. It was partly thanks to Harry Potter that I like to read so much. I remember reading it during class, the book under the table while my teacher was teaching; I remember reading it late into the night until 12+ am even though there's school tomorrow and I even read it during meal time, one hand on the book while the other hand using the spoon. And to be honest, I can say that Harry Potter had quite an impact on my life during that Harry Potter craze period. It brought me through a magical journey through Hogwarts, the Forbidden Forest and loads of magical place in the Harry Potter universe. It taught me the values of friendship, courage amd justice. It gave me suspense, excitement, joy and awe when I read the book. It kept me daydreaming for hours on end, wondering what would happen if Hogwarts is indeed true and a invitation to study there arrived for me. It even made me cry in the 7th book when I read about Snape, which on my opinion, in Harry's words, "the bravest man I ever know" and also the one with the most noble love of all, and perhaps the epitome of "Don't judge a book by its cover" saying. Such was the effect Harry Potter had on me that it's kinda sad to see it finally ending now. But I guess all good things must come to an end eventually. And it has been a great journey. 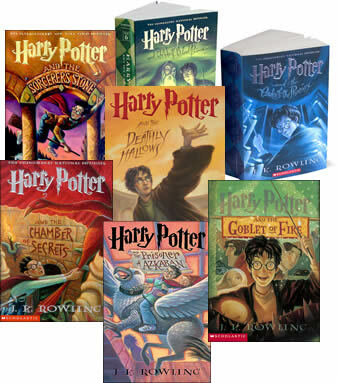 Harry Potter, thanks for the countless hours of fun during all the time that I spend reading your book. Thanks for piquing my interest in reading. Thanks for introducing me to a whole different world that I otherwise wouldn't have the chance to experience. Thanks for everything.